For screenplays, I have always felt that not only must the story or plot be good, but the dialogue has to be equally good as well, as it obviously represents the bulk of the writing. Therefore, though I love ‘The Hurt Locker’, it loses points from me because the dialogue isn’t all that fantastic. However, I have to give extra credit to Mark Boal for incorporating every possible scenario in explosive warfare. Every sequence is different in terms of the type of explosives that were used and method is which the bombers chose to set it off. At the same time, the actor’s reaction, as played to perfection by Jeremy Renner, is also dissimilar in every scenario. Every action sequence in the film explores a whole different set-up that makes you wonder, ‘what’s next?’ throughout the film. It was also excellent how the writer manage to squeeze in all these leadership qualities that the character possesses, while acting cocky at the same time. Pretty solid storyline, but lacking in terms of dialogue (in my opinion) might cause this film the Oscar. The army gets discounts for pizzas. The same applies for ‘The Messenger’. In this movie about a man (Ben Foster) who has just joined the Casualty Notification Service of the US Army, the writer manages to incorporate every possible scenario when notifying the next of kin of a deceased soldier. You see how every individual responds differently to the same type of notification. Some cry, some scream, some vomit and some just remain calm. Besides that, the writers are also able to slot in all these trivia that we learned throughout the movie on the do’s and don’ts when notifying casualties, like never say good morning, avoid physical contact, never park in front of the next of kin’s residence etc. And with all these, they’ve also managed to fit in a troubled character with his own past agendas and how he views the situation that they’ve put him in. A ‘Serious Man’ is a movie that I absolutely dislike. As mentioned above, I feel that a good script should have a good plot together with good dialogue. ‘A Serious Man’, had none of those. Its one of those plot-less films. Still, it was probably nominated because firstly, it’s a movie about Jews. Secondly, they’ve managed to portray how this one man named Lawrence Gopnik (Michael Stuhlbarg) deals with the 101 problems in his life. All these problems are represented by very rich and very unique characters and this could have played a huge part in obtaining a screenplay nod for this film. But still, not a favorite of mine to win. He didn't attend any one of Ryan Bingham's motivation speeches. 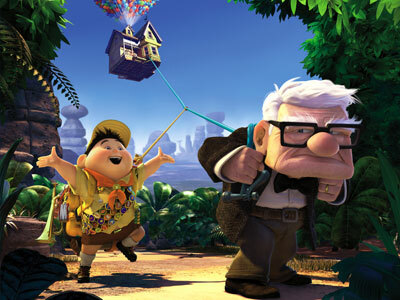 ‘Up’ is a movie that I didn’t totally enjoy as much as most of you. As for the script, I have a little problem with it as it involves dogs that fly airplanes. I just don’t think that it makes sense and that something as ridiculous as that shouldn’t be nominated for this category. Having said that, the movie still scores some points for coming up with characters such as Carl Friedricksen and Charles Muntz. People could have easily mistaken this for an animated version of Grumpy Old Men. I think that both characters are rich in the sense that they have so many things going on at the same time. Carl, having lost his wife and no child, discovered something special in his relationship with a boy named Russell and stepped up as a father figure at the end when the boy was threatened by Charles Muntz, a man whom he has idolized since he was a little boy. Charles Muntz, a dedicated explorer who has lost everything after people accused him of fraud, seeks comfort instead with his dogs and has not the slightest bit of love towards people. Although, there are few characters in the film, there’s plenty of character development as the writers try to focus more on developing them rather than focusing on broader things. Last but not least, ‘Inglourious Basterds’. A clear favorite in this category. My first choice to win, and it’d better! Great plot and great dialogue and thus, has the right ingredients to be crowned as best original screenplay. As for plot, Tarantino’s films always come in chapters and he spends much time on one chapter, focusing with much detail on a particular situation or scenario before moving on to the next plotline. This was beautifully done. We also get to see how he intertwines two separate storylines, one which involves Shosanna Dreyfuss (Melanie Laurent) and another involving Lt. Aldo Raine (Brad Pitt) and how Colenel Hans Landa aka The Jew Hunter (Cristoph Waltz) is the connecting factor here. As for dialogue, no one is better than Tarantino, and I mean that. The conversations scenes may be long, but he makes you take in every word and every word is as interesting as the next. They are more engaging that all the action scenes in ‘Transformers: Revenge of the Fallen’ add together. "No, f*ck you, Mr. Prime Minister!" My personal favorite in this category is ‘In the Loop’. I absolutely love the harsh and witty dialogue. It makes ‘In Bruges’ sounds like a Disney cartoon. Of course, the bulk of this great dialogue came from Peter Capaldi’s Malcolm Tucker, whom I feel was snubbed in the Supporting Actor race. Brilliant character, though at times you tend to feel that as a government official, he may be a bit too foul-mouthed. As for the storyline itself, I love how this movie, which first appears to me as a political comedy, isn’t all political and instead explores more on the individual characters and how they respond to the things that are going on around them. Also, the writers were able to perfectly come up with a script that has a good balance of American characters and British characters that at times you wonder if you’re watching an American or a British film. Seriously, the dialogue is too good for me that I really want this film to win but I just don’t think it will. The clear favorite to win here is ‘Up in the Air’. The story explores a number of things. Firstly, I had my first exposure of an occupation I didn’t know exist: employee dismissal services. Secondly, it explores the lives of people on the go, who spends more than two-thirds of their lives traveling. Thirdly, we understand how technology can never replace some of the traditional work that we do. Lastly, we see how a middle-aged man, though experienced, can sometimes learn a thing or two from the younger generation and vice versa. I must say that these various arcs were cleverly written into one fantastic script, which was turned into a highly enjoyable movie. The script also consisted of some very interesting dialogue but they’re very typical of any George Clooney movies. It seems like the script was tailored to him. But we still love him no matter what. The scrap for the Oscars had just begun. We also have ‘Precious’. I somehow would like to compare the script with ‘Juno’, as both involve an underage pregnant girl. In ‘Juno’, the script was more focused on the dialogue, with some of the best lines we’ve heard. In ‘Precious’ on the other hand, I was not utterly impressed with the dialogue as I find it quite plain. However, what it lacks in its dialogue, it makes up for the depth of its characters. You see Precious Jones (Gabourey Sidibe) did not happily screw Michael Cera, but was instead raped and impregnated by her father, twice. This of course resulted in a whole lot of issues that arose with her mother, played by the brilliant Mo’Nique. And it was good how we do not know most of her backstory until later on in the film. Basically, what we initially saw was this sad obese girl who had somehow gotten pregnant twice and was treated rather harshly by her mother for no apparent reason, i.e. we do not understand her. As the story progresses, bits and pieces of her history was revealed and we slowly understood what exactly she is going through, and also what her mother was going through for that matter. The pacing of these revelations are the key points for the script of ‘Precious’, which if you do not know yet, is based on the novel Push by Sapphire. As for ‘An Education’, I love the story and I love the dialogue. Peter Sarsgaard’s character had some really good pickup lines which I intend to use, though I am having trouble locating a stranded girl with a cello on the streets. (Fikri: Try Bangsar. 🙂 ) As much as I love the story, I do however find it very similar to that of ‘Gilmore Girls’, with Carey Mulligan’s character resembling Alexis Bledel’s Rory. As the title implies, I love how the story which on the surface may look like your typical love story, actually serves as an education to teenage girls everywhere to not give up your ambitions just because you’ve met a handsome guy who loves paintings. It also touches on how parents tend to instantly push aside some of their traditional views and circumstances when being placed in a favorable situation. Overall a great story, with even greater dialogue. The prawn touched the Allspark by accident. Lastly, we have ‘District 9’. First and foremost, the story was perfectly written as an allegory of the Apartheid regime that took place in South Africa some time ago. Secondly, the script was brilliant in the sense that it started off as a documentary, to live news coverage and subsequently following the acts of one man, Wikus van de Marwe. The flow was flawless that you’re not even aware of the changes in the camerawork or the style of filming because you’re so taken into the character and his story. Yes, the writers have created one of the best anti-heroes of the year and that definitely has to score some extra points here. 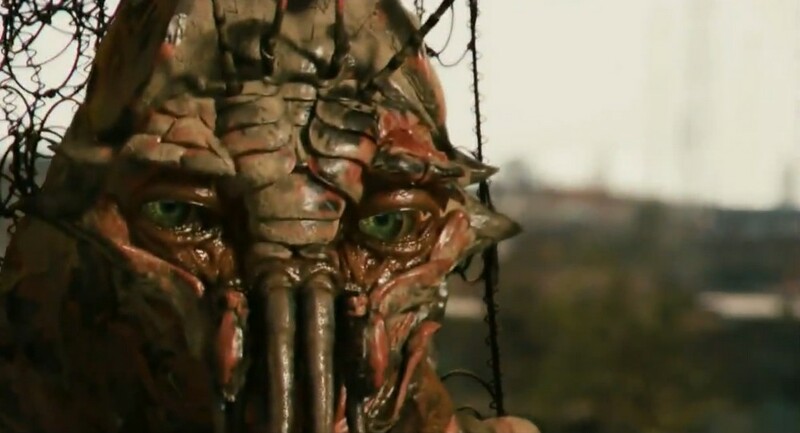 And the lines for this character were written in such a way that made him look natural when uttering it, whether before he was infected (the goody two shoes Wikus) or after he was infected (“you foooockin prawwwwnnnss”). Fazil wants a rest now.